Whiteboards aren’t very pretty but sometimes necessary. 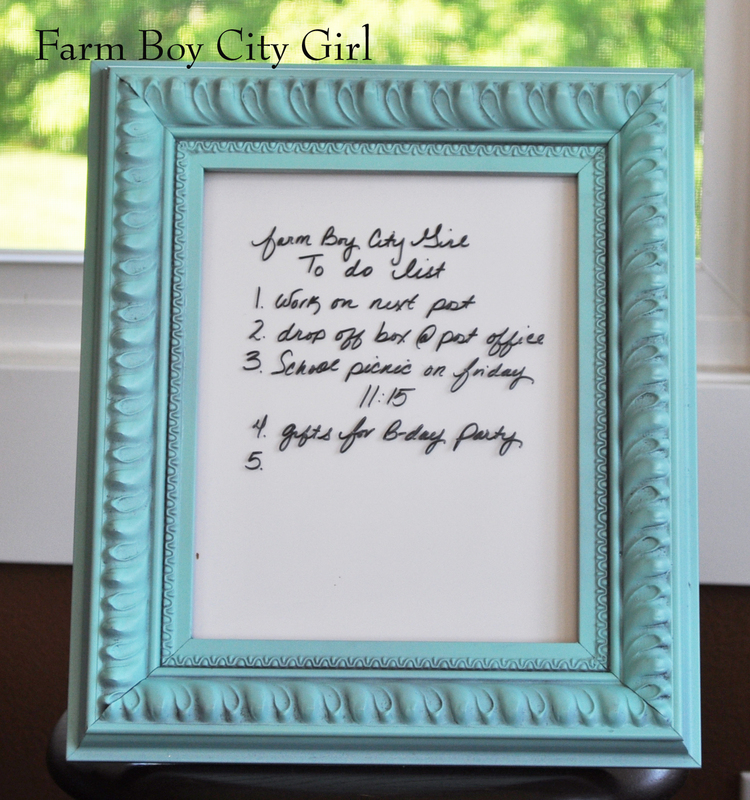 I came across this article on all the things you can do with Dry Erase markers and I was amazed! It basically states you can use Dry Erase markers on containers in your freezer, mirrors, glass shower doors, glass or acrylic desk pads and other glass surfaces. How cute would that be to leave a little love note on your mirror to your honey. To test the theory, I used an old picture frame in my desk at work. I turned the paper around behind the glass, so it was white, and wrote on it. I got so many comments on how cute it was and no one knew it was just a dry erase marker right on the glass. Then I Googled it and found out I am not the only one with this great idea. Passionate penny pincher has some great ideas too. I love the menu one with the colorful paper behind it. *Note to self – don’t Google your idea’s. You will find a million other people who had the same one! This really can be done for free, with old frames you don’t like anymore or get at garage sales. 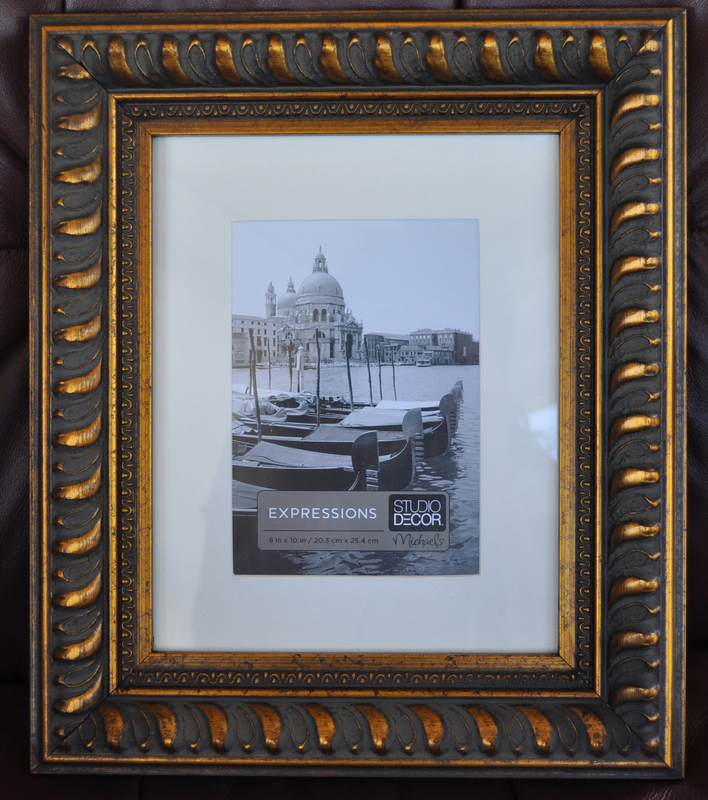 I got this frame at Michaels for $7 – for obvious reasons! Remember my inspiration the old sewing machine. This is where I used the color. 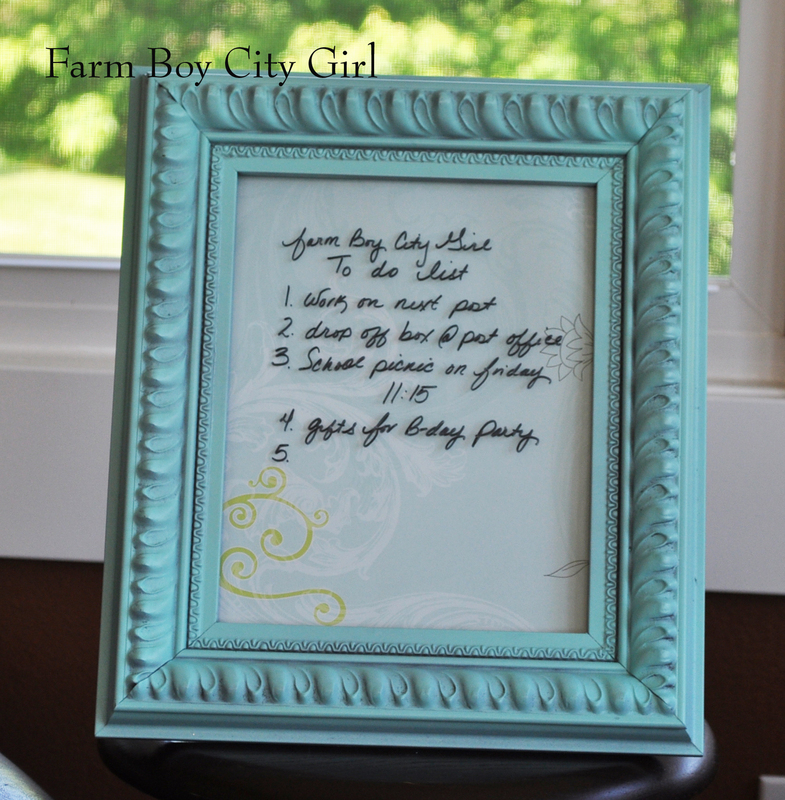 So I purchased robin egg blue spray paint for the frame and sprayed a few coats. White paper behind the glass is nice but this is where you can really spice it up. I used two different papers and think I like this one the best since it has lines (I have issues keeping my lines straight). 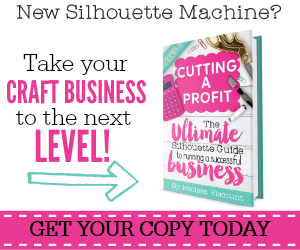 You could also use fabric or paint. There you go. Functional and beautiful! 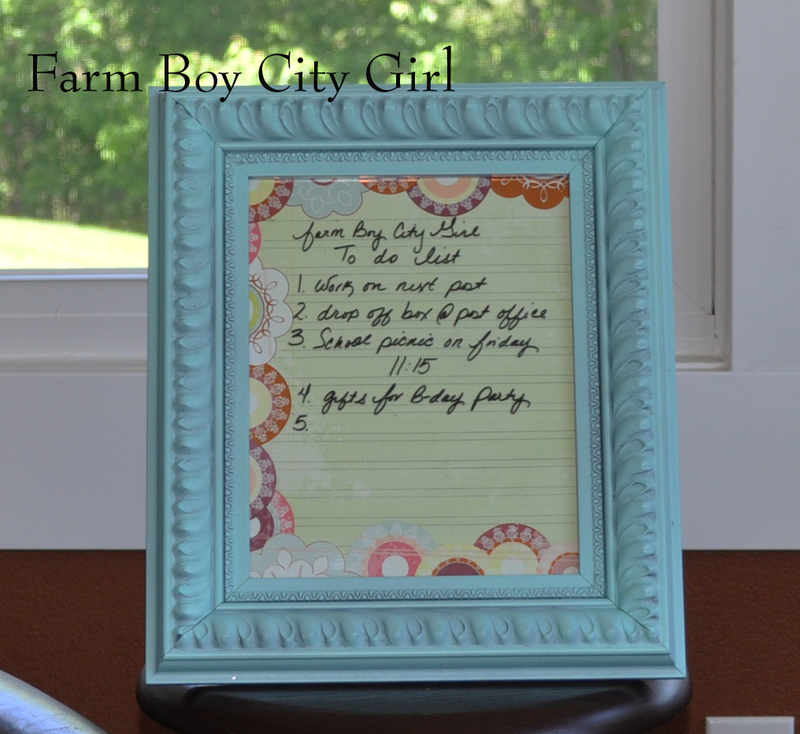 This entry was posted in Crafts and tagged Dry Erase markers, frame to white board, Glass, how to make, Marker pen, Picture frame, Whiteboard. Bookmark the permalink. I love yours too! One for each family member! Great idea. Thank you so much! They are fun to make. I like looking at and I believe this website got some really useful stuff on it! Thank you very much! We are having a lot of fun with it. Thank you! I like it too and it’s so easy to clean off.